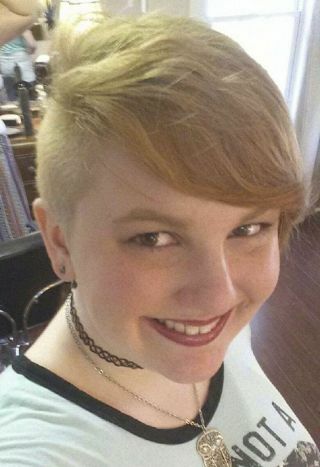 The Digital Signage Federation has awarded its 2016 Geri Wolff Scholarship to Savannah McNulty, a third-year student at the Savannah College of Art and Design. The scholarship was created with Wolff’s vision to encourage more women to make career choices that involve digital signage. The scholarship is supported by individual contributions, including Wolff’s annual donation, which is matched by the Digital Signage Federation and includes proceeds from the DSF Golf Tournament. Scholarship recipients are selected annually by the Digital Signage Federation Education Committee based on academic record, professional references, a declared major and commitment to a career in computer sciences, specifically in digital signage. Awards are made to women enrolled full time in an accredited university with a declared major in computer sciences, and committed to graduation. Consideration is also given to applicants with exemplary credentials and commendable work ethic. The two major contributors to the DSF Golf Tournament include Platinum Sponsor Peerless AV and Diamond Sponsor Ingram Micro. Donations to the Digital Signage Federation’s Geri Wolff Scholarship Fund, to help expand this effort going forward, are welcome from any individual or organization that would like to help foster the advancement of women in the digital signage industry. To donate, contact DSF executive director Brian Gorg.